Sandra Louise Vuletich, 63, went to be with her Lord, Sunday, June 3, 2018. She passed suddenly at her home, Ivy Woods Manor Healthcare and Rehabilitation Center in North Lima, Ohio. Sandra was born in Youngstown, Ohio on May 10, 1955, the daughter of Sam Vuletich Sr, and Josephine (Gonda) Vuletich. She graduated from Chaney High School in 1973 and the Youngstown State University Nursing Program in 1979. Sandra was licensed as a Registered Nurse in April 1980 and her nursing career included working in hospitals and nursing facilities in the Youngstown area and Miami, FL. She also provided private duty home health care nursing for her terminally ill patients and was a compassionate nurse dedicated to her patients who loved her dearly. Sandra was a member of St. Christine's Parish and T.O.P.P.S. She loved cats and enjoyed watching the birds at the bird feeder outside her window daily. She enjoyed listening to music, and in her early years, she loved to dance and travel and was always looking forward to her next adventure. Sandra was preceded in death by both her parents and her sister, Marilyn Vuletich. 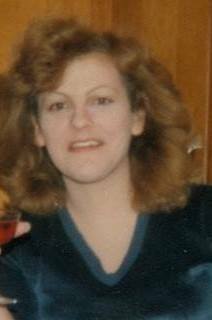 She leaves behind three siblings: Stanley Vuletich of Berlin Center, Karen (Willis) Vuletich Woods of Billings, MT, and Sam (Tammie) Vuletich Jr. of Berlin Center, and many cousins, nieces, nephews and aunts. She will be sadly missed by all who knew her and we will always remember the happy times we all spent together. There will be a Celebration of Life Service for Sandra at St. Christine's Church, 3165 S. Schenley Ave., Youngstown, Ohio, on Saturday, June 23, 2018 at 10:30am. Visitation at the church will be from 10 to 10:30am with Mass following.